Roasted butternut squash is one of the easiest fall side dishes you can make. The hardest part is cutting the squash, but Kare from Kitchen Treaty has a lovely little tutorial about cutting up butternut squash without losing a limb, so I’ll direct you over there for that. 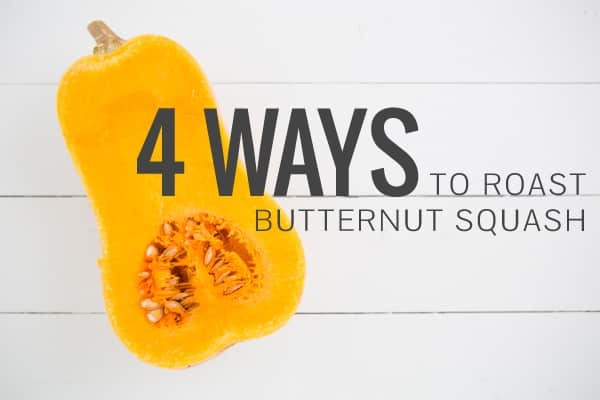 Once your butternut squash is cut, you toss it in a little oil (anything with a high smoke point works), season it, and pop it in the oven for 30-40 minutes at 400ºF, stirring every 10-15 minutes. While the butternut squash is roasting, you can work on your main dish because other than the stirring, roasted butternut squash is a pretty hands-off endeavor. That’s the best kind of side dish, isn’t it? Spicy Cholula // I’ve already done butternut squash with sriracha, so this time I used cholula. Toss the squash with oil, a little bit of cholula, and salt. Just before serving, you can scatter some coarsely chopped cilantro leaves over the squash. Although I haven’t tried it myself, I think a squeeze or two of lime juice would work well on this too. 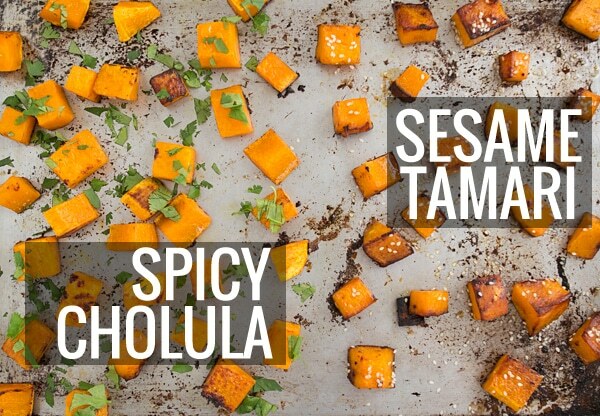 Sesame Tamari // Toss your butternut squash with oil and tamari, then transfer it to a baking sheet that’s been lined with parchment paper. When the squash is done, drizzle a small amount of toasted sesame oil over the top and sprinkle with sesame seeds. Cinnamon // The classic! I love making butternut squash fries and cubes and sprinkling them with cinnamon. A few years ago, I think we had these at least once a week as a side with veggie burgers. 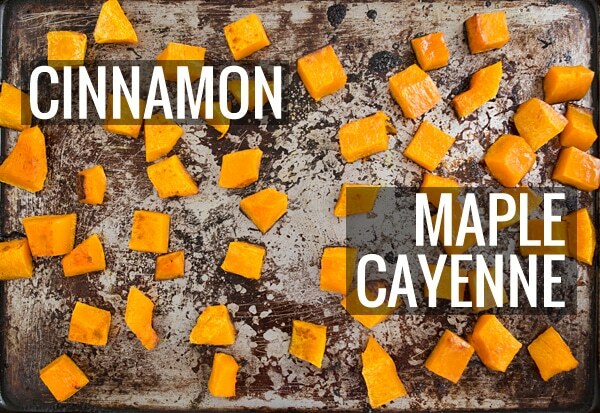 Maple-Cayenne // After tossing your butternut squash cubes with a little oil and salt, drizzle them with maple syrup and sprinkle them with cayenne pepper. Not too much, unless you like things really spicy! You’ll want to spray your baking sheet with extra oil or line it with parchment paper to keep the squash from sticking. What’s your favorite way to make butternut squash? I recently had some squashed squash with garam masala and brown sugar and it was incredibly scrumptious. I’m looking forward to picking up another one and trying your sesame tamari idea, that sounds amazing. Garam masala is one of those spices that I never know what to do with. I’m going to have to try it with butternut squash now!